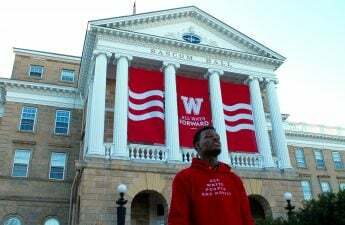 After creating a national uproar over his controversial “All White People Are Racist” hoodie, University of Wisconsin junior Eneale Pickett is debuting a new line of merchandise alongside a short commercial at the end of this week addressing police brutality. A First Wave scholar from Chicago studying elementary education, Pickett is centering his new line of clothing around the criminal justice system in America. Well known for the controversial messages depicted in Pickett’s October 2016 line, which included hoodies and crewnecks reading “If I Encounter Another Cop with a God Complex I’m Going to Have to Show the World That They Are Human” and “All White People Are Racist,” Pickett was motivated after President Donald Trump’s response to the white supremacy rally in Charlottesville to address the recent rise of the KKK. More broadly, Pickett intends to spark a conversation about the disproportionate targeting of black and brown bodies by the police. 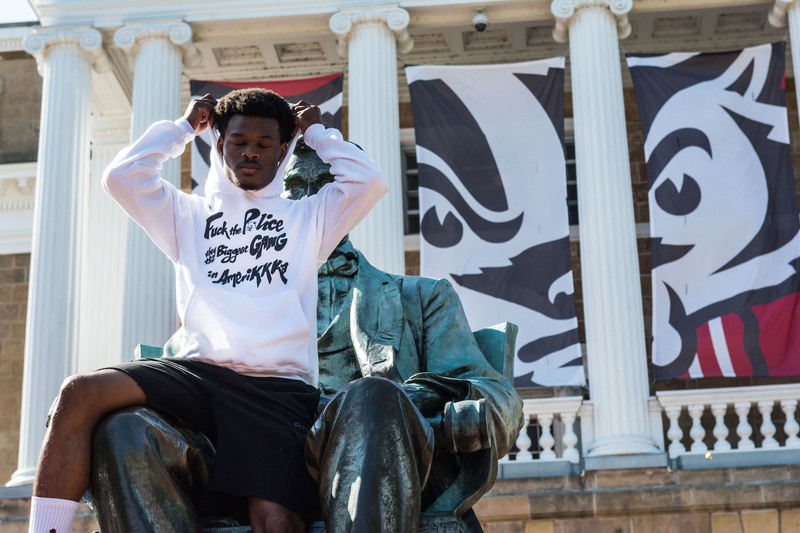 Along with a new line of clothing, Pickett is also releasing a commercial on police brutality which was filmed, produced and casted by fellow UW students. The inspiration for the nearly two minute video came to him through a dream three months ago, and he has been working on it since then. “Once you add a visual that’s so daring, so intense, it forces you to talk and to say something. Now I have to give attention to this issue because [offending police], to them, is unacceptable. But my body all over social media, dead, is acceptable,” he said. Last October, Pickett received death threats from across the nation after adding the “All White People Are Racist” hoodie to his line, Insert Apparel. Shortly after making his merchandise available via Etsy, the site removed his postings in response to several users reporting the page. 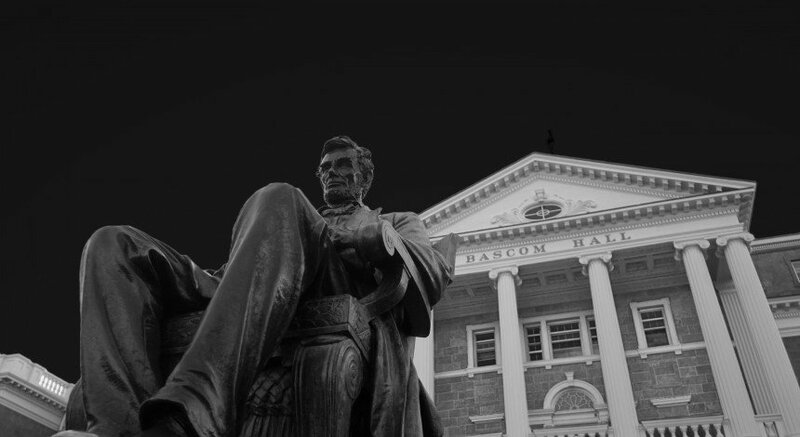 Police brutality has been a major subject in the city of Madison, particularly following the fatal police shooting of Tony Robinson in March 2015. A few of the pieces in Eneale’s new line feature hashtags as major design elements. Pickett emphasizes that his goal is not to change minds, but rather force people to have important conversations about institutional racism and white privilege. Still, he anticipates backlash from the university administration and others who he believes will misunderstand his message. We’re not affiliated with this apparel, nor do we endorse the message. Pickett hopes through his commercial and clothing, people will analyze the criminal justice system and the systemic oppression that black communities and other communities of color face. Pickett plans to release his full commercial at 1 p.m Friday, alongside the clothing line, which will be available at insertapparel.com.